To be held on April 26-27 at the Shanghai New International Expo Center, the summit’s theme is ‘Smart Retail, Leading a Smart New Life’, and will gather experts and leaders to discuss the current developments and future prospects of the retail (automation) industry. As China enters a new era of smart retail, companies face tremendous challenges to traditional retail and e-commerce, and leaders need to embrace and integrate all aspects to thrive. The organizers of the summit hopes to discover new retail revolutions through this premiere event. This summit is committed to building a platform for acquiring industry-leading information, exploring industry trends for domestic and foreign industry elites; and finding opportunities for business partners to have extensive exchanges and in-depth cooperation. The Summit will hold the 2018 Shanghai International Smart Retailing Exhibition and the 15th China International Self-service, Kiosk and Vending Show (CVS2018) in the same period. 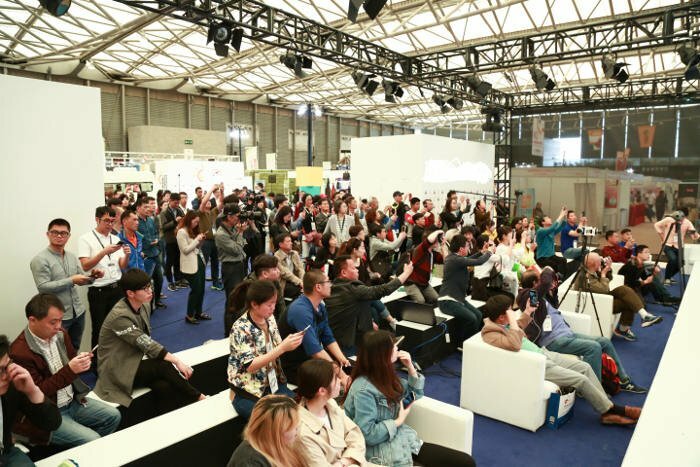 More than 1,000 professionals, brands and e-commerce sites in the smart retail industry are expected to participate at the two-day conference. Global industry bigwigs will share authoritative viewpoints and cutting-edge technologies, as well as forecasting new trends in the industry. conference, to broadcast key issues and to conduct interviews to increase the visibility the participants. More than 50 government officials, associations, investors, CEOs and founders of domestic and foreign leading companies will be there to discuss new retail innovations in the industry. Expect keynote speeches, group discussions, and an awards ceremony during the two-day summit. Leaders of relevant government departments and industry experts will share knowledge and experiences, provide interpretation of industry-related policies, as well as analyses of industry development opportunities. Innovative Applications: Well-known integrators in the retail industry explore innovative application designs, and integration of new technologies. influence in the industry share innovative breakthroughs vis-a-vis the retail industry. Leaders from NAMA, JVMA, Performance Architect, JD.com, Tencent, Suning Yunye, YouBao, Orange of Angels, Lai Yifen, Rainbow Department Store, Innovative Factory, Sinoway Herb, CityBox, Jian 24 Unmanned Convenience Store, Hisense Commercial Software and other companies are confirmed to attend the summit as speakers. They will focus on, and discuss in-depth, the development of smart retail, technological innovation, artificial intelligence and other hot topics.